If someone steals your credit card, they’d probably have little trouble racking up a hefty bar tab or buying a new TV with the plastic. But MasterCard MA+0.01% is experimenting with a new technology to change that by using your smartphone’s geolocation to verify that you are in the same location as your credit card at the time of sale. “We can actually make sure that when we see a transaction we can confirm you are actually where you say you are,” says James Davlouros, vice president of global strategic alliances at MasterCard. Currently, MasterCard’s pilot program is available in Europe, with a commercial launch scheduled later this year in North America, Europe, and Asia. The new Master Analyst in Financial Forensics (MAFF) credential represents much more than a name change from the Certified Forensic Financial Analyst (CFFA) used previously. The accompanying professional standards, the body of knowledge, and the unparalleled training will be clearly reflective of a new standard of excellence in the field of financial forensics. NACVA will continue to acknowledge the CFFA in literature and related websites to help facilitate and support CFFA members transitioning to the MAFF. Beginning October 12, 2014, the CFFA will be completely phased out of all Association literature. It is also the date by which credential holders must fully transition to using MAFF in place of CFFA. NACVA offers practitioners seven different specialized training and credentialing pathways to acquire the MAFF. These areas—bankruptcy, insolvency and restructuring; economic damages; business and intellectual property damages; business valuation in litigation; forensic accounting; fraud risk management; and matrimonial litigation—have common underpinnings yet with their own unique set of dynamics which sets the MAFF apart from financial forensics programs that are more generalized. The MAFF educational programs are presented by a team of nationally recognized financial forensic experts who are leaders in their respective fields. 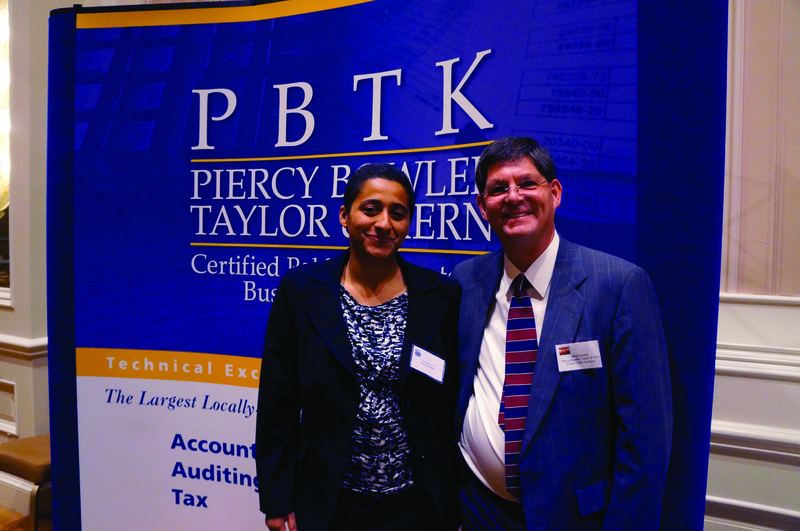 Piercy Bowler Taylor & Kern is a full-service accounting and business advisory firm that provides accounting and auditing, tax, consulting, valuation and litigation support services. Founded locally in 1990, the firm specializes in the casino gaming and leisure time industries, governmental and not-for-profit organizations, real estate development and construction industries and the legal and general business communities. Now with offices in Sandy, Utah, and Las Vegas, Nevada, PBTK is one of the few independent accounting firms in its local markets that performs SEC audits. For more information on PBTK, visit pbtk.com or call Shannon Hiller at 702.384.1120. Mike Rosten, a Principal with the Litigation Support Department at Piercy Bowler Taylor & Kern, guest hosted this week’s Financial Fridays while Scott Taylor finished up tax returns due on September 17. This week’s show featured Carol Harter, President Emeritus of UNLV and a current executive with Black Mountain Institute; John Restrepo, Nevada’s leading ecnoomist discussing the Silver State; and Dan Cooley, CEO of MorrisAnderson (Chicago), an accomplished operational and financial specialist. PBTK Shareholder Scott Taylor, Jason Thomas, CPA, and Leonard Wright, the AICPA Money Doctor, are the regular hosts of Financial Fridays at 3 pm on KLAV 1230 AM.